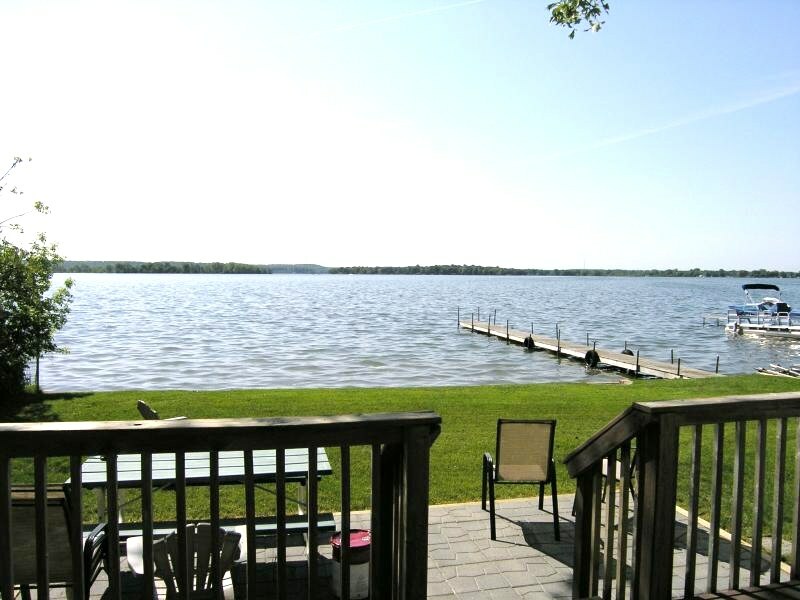 Off Season- After Labor Day to June 1st Fri. to Fri.
Lake side View of Cottage -Large deck & patio areas! Sofa and Love Seat w/recliners & 43" Flat Panel TV! Living Room Area! View of Kitchen! Gas stove! One of 2 bedrooms with Queen Size Beds! Lakeview from Deck! There is also a patio area! Lots of outdoor furniture -picnic tables! Fire pit-charcoal grills! Bedroom #3 - 2 bunks with twins on top and fulls on the bottom! 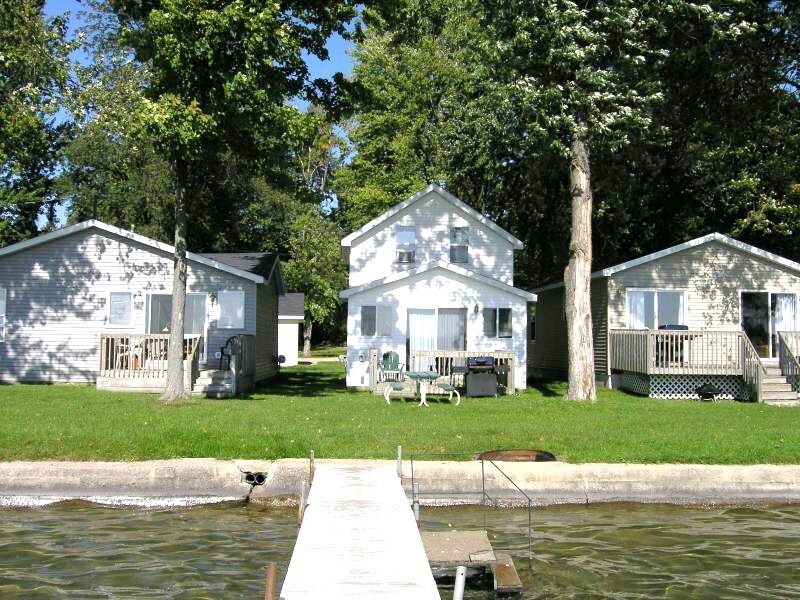 This is cottage #2 - #1 to the right, #3 to the left! 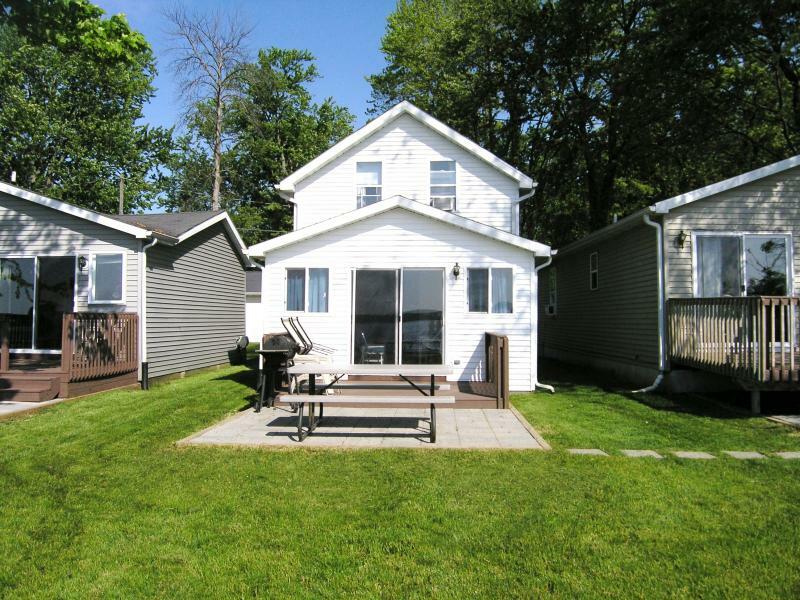 All 3 cottages - great for Family Reuions - all have decks and patios! Each cottages does have its own fire pit, picnic table and outdoor chairs- 3 additional picnic tables available for who ever needs them! Lakeview from the deck of this cottage -across the lake you are looking at the State Park Peninsula! Cement Sea Wall at Waters Edge-about 8" deep there - 3.5' deep at end of Dock! 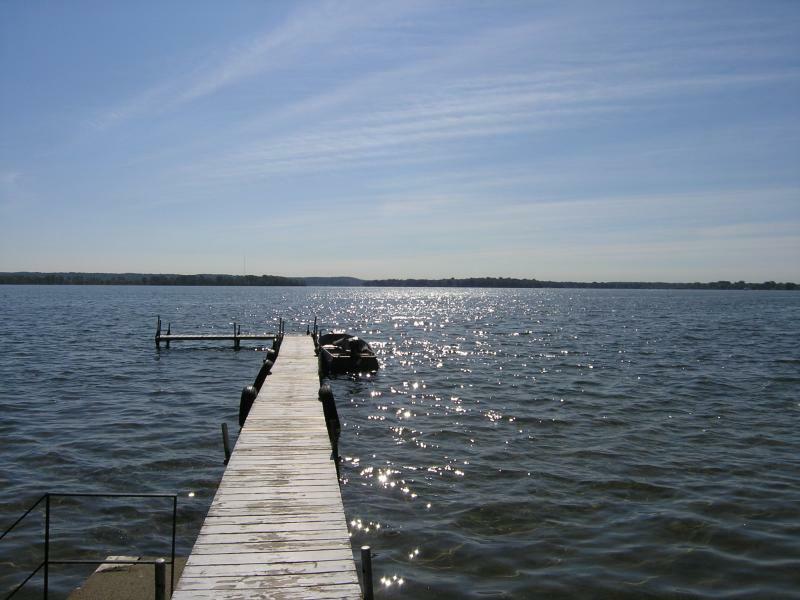 This cottage is located on the West side of Gun Lake -when sitting on the deck, you would be looking across the lake at the State Park Peninsula! Sunrises! Sleeps 8-10 Max. # occupancy no more than 10 including children & infants! Fully furnished: toaster, microwave, coffeepot, blender, pots, pans, dishes, charcoal grill, picnic table, fire pit, washer & dryer. All linens & towels provided – you may want to bring beach towels! 2 bedrooms with Queen size beds – 3rd bedroom 2 bunks- full size beds on bottom –twins on top. 43”TV with CD/VCR , in living room, 2nd TV in one of Queen BR- TV w/DVD player in bunkroom- Central Air -Antenna TV -! 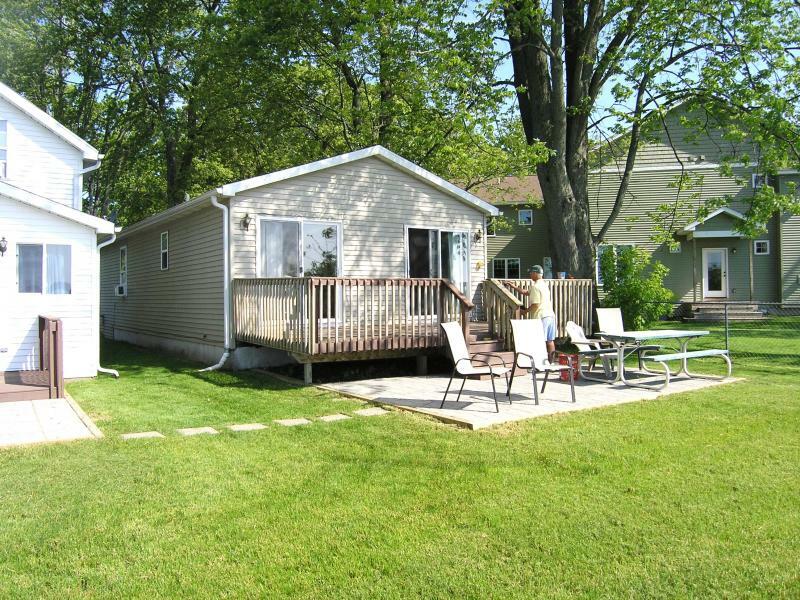 This cottage is available on a weekly, long weekend or monthly during the off season. Text or e-mail for current rates. ! nterested in this Cottage or want more information. Visit our Contact Page.